A while back I did a post about how to set up student notebook for Challenge A. With the school year around the corner, I thought I’d give some more information now that we’ve been through Challenge. Before starting Challenge, take some time to discuss everything with your child. Each year of Challenge presents it’s own unique level of learning and focus. Even if they were in Challenge last year, this year will be different! You may not have the Challenge Guide yet, but you probably have all your resources. Sit down and look through all the amazing books and resources with your child. Talk about what looks interesting and what might look a little scary or intimidating. If you have the CC Catalog (or you can see the online version) you can read about your Challenge level and what makes it unique. Is there a big project or activity like Debate or Mock Trial? Are you learning something totally new to you like Logic? Encourage your child to flip through all the books and really look at them. Put your name in them…take ownership of them both physically and emotionally. You might not know about everything you need until you attend your parent meeting, but you’ll want to have basic school supplies, a backpack or cart for carrying books, lunch bag, etc. I always loved picking out my school supplies growing up, but my son doesn’t care! I still make him go with me and help pick out things and encourage him to be a part of the process. You’ll find that many students opt for a rolling cart rather than a book bag to carry all their books each week. Personally we use a traditional book bag. It was able to carry what my son needed for each week. We leave everything else at home. Also your basic supplies that all Challenge kids need are things like pencils, pens, highlighters (different colors), index cards (tons of 3×5 cards), a way to store those cards (talk with other moms for ideas! ), post -it notes and flags of different colors, etc. Challenge A kids sometimes enjoy colored pencils or ultra fine tip colored pens for their drawing of the world and of human anatomy. Even something fun like a really cool bookmark for those novels! Most Directors will encourage the students to start reading some of the literature books over summer. The further in Challenge you go, the longer the books and the less time you get to read them! Use the summer to read some of the longer or more difficult books. Ask your Director which ones he/she recommends to read early. I would also recommend audio books for those students who might find the level of reading or the lack of time too hard. There are definitely strong feelings on either side of the paper vs. ebook vs. audio book debate, but for us, audio books were a lifesaver! We found many of them on librivox for free. First it’s important that you discuss with your Challenge Director. Some Directors may have a specific way they would like the students to organize their work. Get ideas from them! They have seen what works and what doesn’t! However, you also have to think about your child. Just because someone says it’s a great way to organize, if it doesn’t make sense to your child, it won’t work! We used a simple binder like this one! If it’s too large and bulky it’s hard for them to have their binder out on their desk and work!! Keep it simple! I will say that the Challenge Guides have a simple one-page blank planner template that you can use. I have recently seen some wonderful ideas on Facebook about using the template in creative ways! Some people suggested blowing it up and laminating it. Then you can hang it on a wall and use whiteboard markers! I love that idea. For us, I made the planner as a 2-page spread to give us more room to write and we liked the printable kind that he could keep in his binder. It’s totally up to you and what would work for your child. 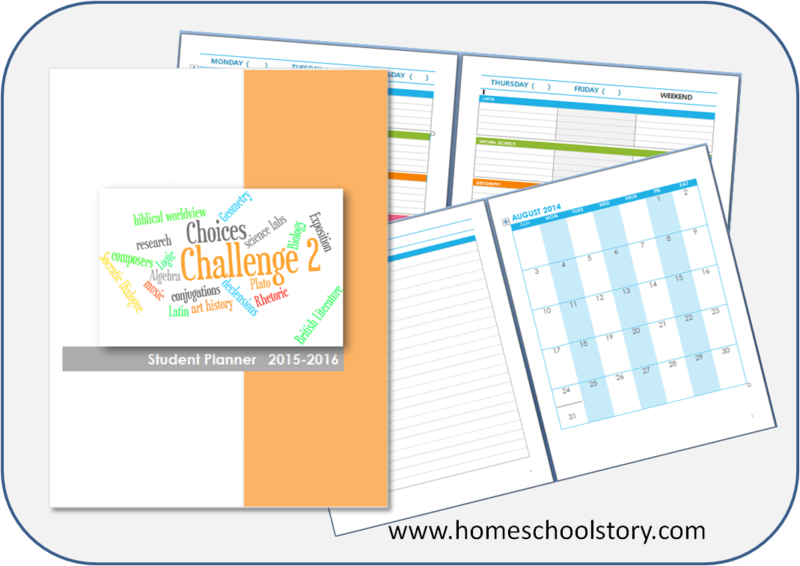 Homeschool Story planners are custom made to work well with CC and include many great features like daily checklists for memory work specific to your CC program level. *Please note: no actual memory work, assignments, details, or ANYTHING that is copyrighted by CC is contained in these planners, they are just a place to write and organize yourself. I decided that I didn’t want to just give him the Challenge Guide. While it had a lot of great info, I felt it would be better for me to keep the guide and make copies of all the pages that would be important to him. We also placed those pages strategically in his notebook so we could best use them. Here is how we set up our Student Notebook for our Challenge student. This is just an idea. The most important thing is to figure out what works for your child and to help them take ownership of their work. All page numbers refer to pages in the 2014-2015 Challenge A Guide that you get from your Director. No matter which Challenge level you are in… you’ll get the idea of what to put where… You will see that I basically divided up the subjects and put the information from the Guide into the subject sections for reference. I do not use Saxon, so I just put things that were specific to my curriculum in this tab. One thing I find useful in pre-algebra and algebra is a Divisibility Rules sheet. If your curriculum uses worksheets or special graph paper, this would be the place for that. After the subject tabs, I have numbered tabs 1-15 for the 15 weeks of each seminar. I thought about 1-30 tabs, but then realized that the Student guide and weekly assignment sheets don’t go past 15. Once second semester starts, week 16 is then referred to as week 1 again. Week at-a-glance student planner pages for your student to write out their assignments through the week. This is where they take the weekly assignment page with the list of all items due and figure out how to spread out the work over the week into daily tasks. 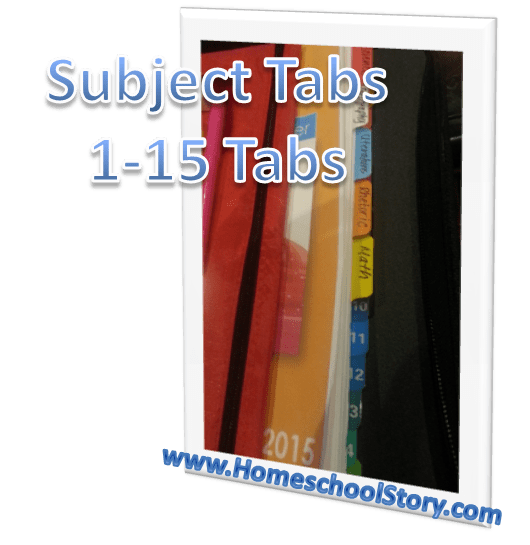 You could also use the weekly tabs to place all their work for class day. Then in one place they would have all their assigned work for their Director to check. *The week-at-a-glance planner pages could also be placed together in the front with the monthly calendar to create a student planner all in one place. 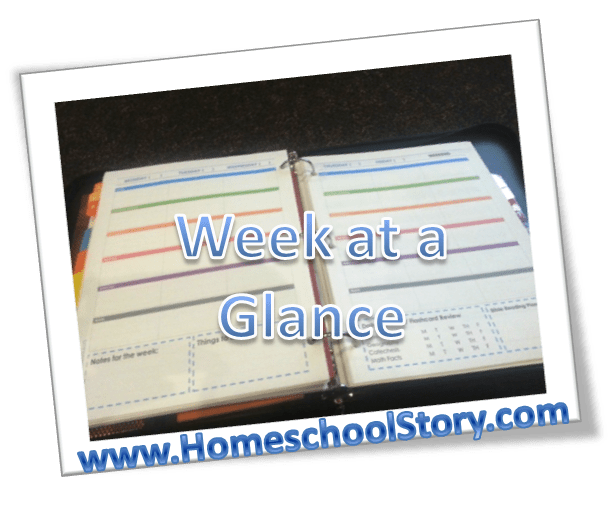 That was my original idea, but my son preferred placing the weekly planner sheets with the weekly assignment pages so he could easily see each week with the tabs. Makes sense so we went with that. It’s totally up to you. Update: Check out a live video of our notebook on our Facebook Page!! For a PDF version of the instructions, please download here. Please note all page numbers were from an older Challenge Guide version so ignore those! I hope these ideas help you as you prepare for your school year. 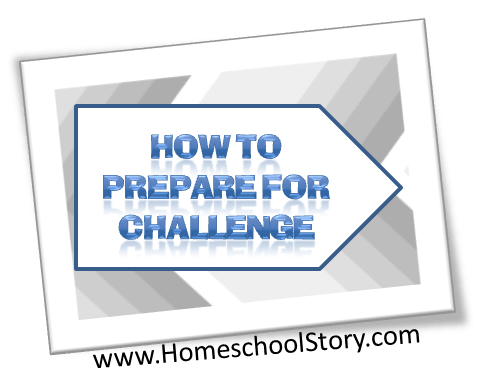 Even if you don’t have a Challenge student or you aren’t even part of CC, many of these tips will work with any homeschool program or curriculum!! We’re starting Classical Conversations this Fall for the first time. My oldest daughter will be in the Challenge program. I made her a planning binder where I included the class schedule, the weekly assignment sheets, blank daily assignment sheets for her to schedule her week, and then any hand-outs/worksheets she needs for each class. My youngest daughter will be in Foundations. We’re all excited to get started!